Are you afraid of heights? Take an elevator to our plank that’s sits 160m high (525 feet) above the ground, then dare to walk to the end! Richie’s Plank Experience was made to demonstrate virtual reality to our friends and family. It’s a short experience that all our visitors have reacted too - exhilaration, fear and laughter - it’s always surprising to see how each person reacts. Fire Deck: If you want to know what it feels like to be a super-hero, here’s your chance. 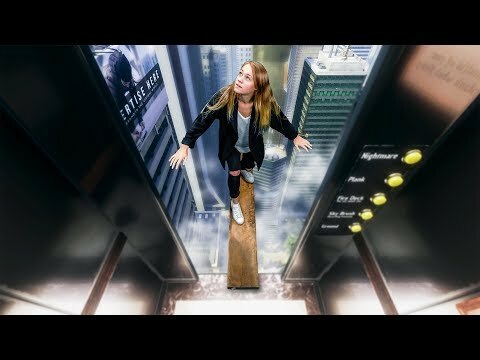 Use your controllers to fly around the virtual city. Extinguish fires that blaze throughout the city with a fire hose and rocket hands. Sky Brush: A sky writing simulator where you can paint the sky different colours using your rocket hands as a paintbrush. Nightmare mode: An extra scary plank experience. To access press 666 on the panel on the left. This is a safety feature - please do not let kids play it. NOTE: The plank dimensions and orientation are customisable. We highly recommend using a real-world plank, we have made suggestions on our website Toast.gg on the best way to set up a real-world plank.